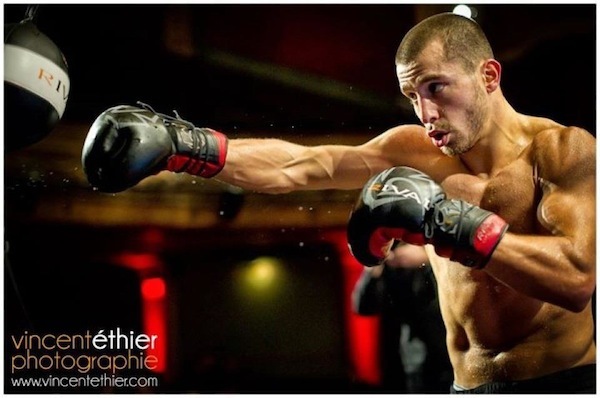 HyeFighter & Knockout artist David Lemieux (25-1 24KO) said all the right things Wednesday afternoon as the middleweight put the final touches on his preparations at a public workout session in advance of this Saturday’s local match-up against former world champion Joachim Alcine (32-2-1 19KO) at the Bell Centre in Montreal. There was the talk of how new trainer Marc Ramsay was just what the doctor ordered; how he had learned valuable lessons from his only defeat, a stunning knockout loss to the hands of Marco Antonio Rubio in April; how he is prepared for twelve tough rounds against a quality opponent in Alcine. But scratch below the surface a little bit and it won’t take much to uncover the one man wrecking crew who scored 24 knockouts in his first 25 professional fights. In Alcine, Lemieux gets both an opponent with a questionable chin; Alcine lost his WBA junior-middleweight title when he was stopped suddenly by Daniel Santos in 2008 and was destroyed by Alfredo Angulo a year ago. But he also has an experienced opponent who has the capabilities to bring the youngster into deep water, a place Lemieux did not fare well in last time out.